Neath MP Peter Hain has described a meeting between Vince Cable and representatives from Aberpergwm and Unity Mine as ‘productive.’ Mr Hain called for the urgent meeting after Walter Energy, Aberpergwm announced it was entering a ninety day consultation and activity at the mine would be suspended, affecting 270 employees. Mr Hain along with representatives from Aberpergwm and Unity mines spoke with the Secretary of State for Business to secure the future of the two mines that have been affected by the lack of confidence in the British economy and the current slump in the price of coal. 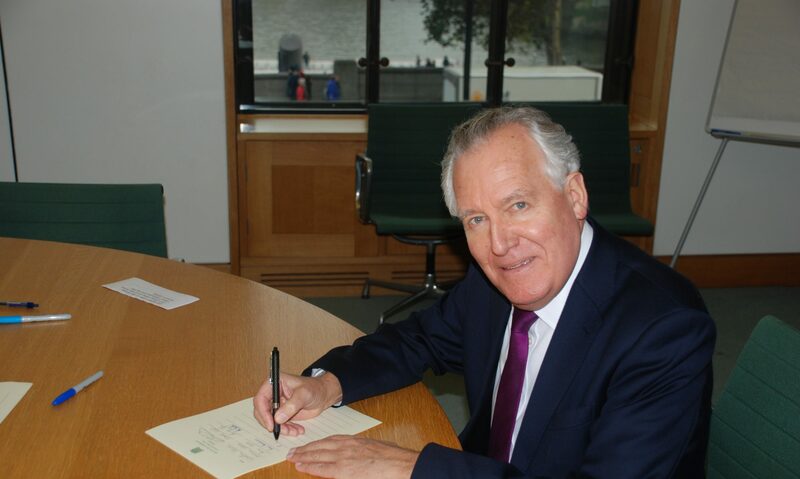 Speaking after the meeting Mr Hain said, “The meeting with the Business Secretary on the future of two of the biggest employers in the area was constructive. Whilst no immediate Government help was promised the Business Secretary made a number of suggestions on options to explore in the future. “Both Aberpergwm and Unity are vital employers in the area producing the highest quality anthracite in the world and providing well paid skilled jobs. The lack of confidence in the British economy and slump in the price of coal will not only affect the nearly 500 people currently employed by the two mines but many hundreds of extra job opportunities including the apprenticeships that both mines offer. This would have devastating knock on effects on the local community which is why the meeting with the Business Secretary was so crucial. The UK Government must deliver better policies. Both mines have grown over the last few years with a renaissance in coal, supplying Tata Steel and Aberthaw power station.